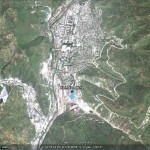 North Korean website DPRK Today recently lauded the copious amounts of over 500 types of quality mineral reserves in North Korea including iron ore, anthracite, bituminous coal, gold, silver, and copper. This news appeared amidst the discussions about expanding international sanctions on North Korea’s mineral exports after the fourth nuclear test. An article titled “Choson from the Geological Perspective,” written by Dr. Choe Won Jong, researcher at the Institute of Geology of the National Academy of Sciences, was posted on the DPRK Today website on February 18. According to Dr. Choe, North Korea has rich mineral reserves with over 500 types of minerals including billions of tons of iron ore, coal, bituminous coal, silver, copper, lead, zinc, tungsten, magnesite, graphite, and limestone. 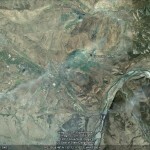 Reportedly six rare minerals including holdongsok, suansok, and sangpaldongsok were first detected in North Korea and aptly named after the regions where the discoveries were made. It was said that most of the graphite deposits were formed about 2.5 billion years ago and Ryongyang and Taehung magnesite deposits, Komdok lead-zinc deposits, and Tanchon-Hochon region non-ferrous metal deposits were formed 2 billion years ago. 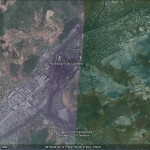 It reported that there are high quality diatomite deposits in Taehongdan County, formed when the pumice of Mount Paektu erupted about 1,000 years ago. According to Choe, in geological terms, these underground resources were formed as the crust structure of the Korean peninsula is positioned in the eastern outskirts of the Eurasian continental crust as it abuts against the Pacific oceanic crust in the west. 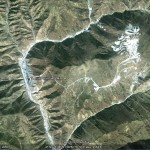 He further explained that there were at least ten big crustal movements surrounding the Korean peninsula, and over 16 periods of magmatism that occurred in North Korea which led to massive granite formation over the years and at this occurrence, non-ferrous metals such as gold, copper, tungsten, and molybdenum, as well as rare metals and rare earth metal deposits were formed. Non-metallic deposits and copper, iron metal deposits such as graphite, muscovite, feldspar were formed during over seven periods of metamorphism, which reportedly also improved the quality of already existing iron ore and magnesite deposits. 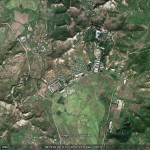 From the northeast region that stretches from Mount Paektu to Kilju-gun, all the way to Pukchong-gun to Samsu-gun in the northwest of Machonryong Range, a famous deposit formation region can be found that is said to be rich in magnesite, lead, zinc, copper, gold, iron, and other minerals. 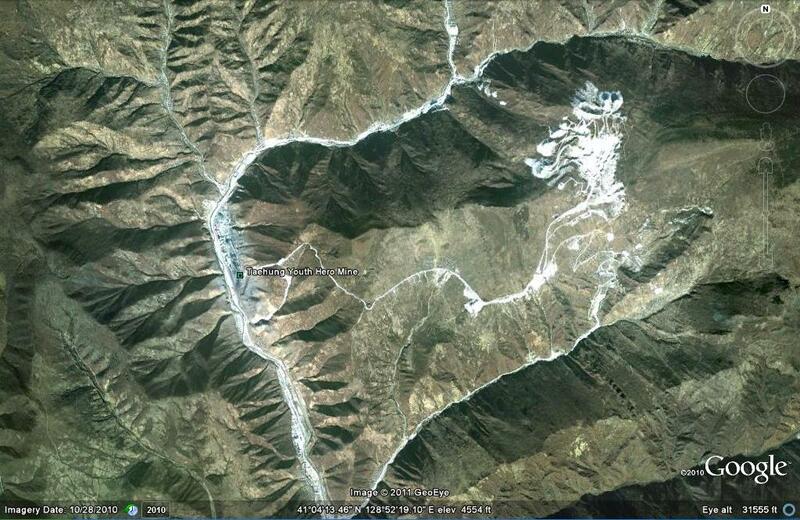 Dr. Choe boasted, “Truly, Machonryong Range can be seen as a great treasure chest in the Korean peninsula . . . . our country has become more and more abundant in underground resources as we are surrounded by the sea on three sides. However, gems must be polished to shine,” and thus he emphasized the need for the development and utilization of these resources. 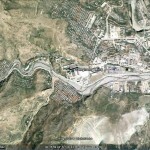 North Korea has offered to allow Russian participation in the development of the Onsong copper deposit, in exchange for Russia providing electricity to the entire east coast of the country. 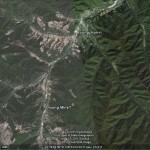 “The Korean side proposed that Russia consider supplying electricity to the areas of Rason, Chongjin and Tanchon as well as the Wonsan-Mount Kumgang international tourism zone, with the costs of electricity supply covered with copper ore from the Onsong deposit in North Hamgyong Province,” the Ministry for the Development of the Russian Far East said in a press release. The press note, which summed up the results of the meeting of the Russia-North Korea intergovernmental commission that was held in Pyongyang in late April, did not specify which companies would be involved in the project. Russia and North Korea are expected to create a special working group to study the feasibility of electricity supply to the Korean peninsula. North Korea is one of the most power deficient countries in Asia with cuts in supply and load shedding being a regular occurrence even in Pyongyang. 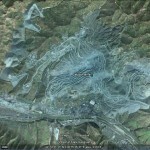 Pictured above (Google Earth): Hyesan Youth Copper Mine. See in Google Maps here. Hyesan-China Joint Venture Mineral Company, a large joint project between China and the Democratic People’s Republic of Korea (DPRK), started operation at Hyesan of Ryanggang province on Monday. 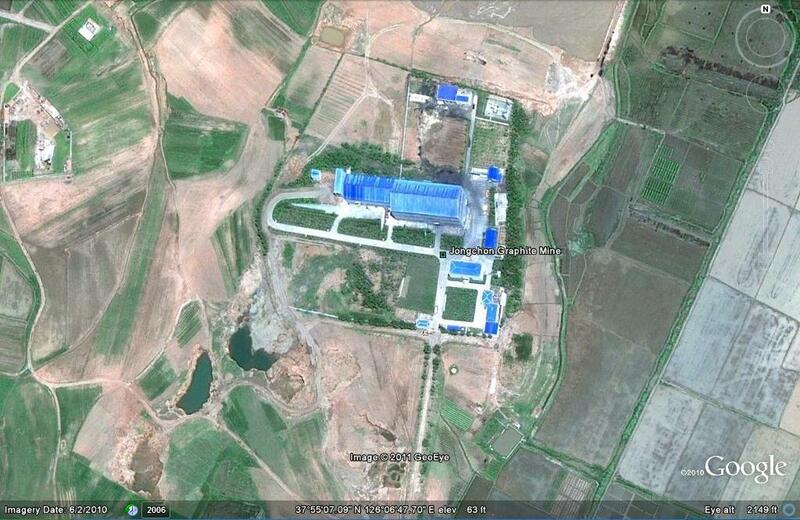 The mineral company was jointly set up by Wanxiang Resources Limited Company of China and the Ministry of Mining Industries of the DPRK on Nov. 1, 2007. Its main business was to produce and sell copper. DPRK Mining Industries Minister Kang Min Chol and Chinese ambassador Liu Hongcai attended the opening ceremony. Kim Chol, chairman of the people’s committee of the Ryanggang province, said at the ceremony that the joint venture was one of the symbols of the development of the DPRK-China friendship and would be a model of modernization, science and economic benefits. Liu believed the company would make profits for both sides, benefit the two peoples and promote traditional China-DPRK friendship. The mine was located a few miles from the Chinese city of Changbai in the northeastern province of Jilin and was 51 percent owned by Wanxiang, a source with direct knowledge of the project told Reuters on Tuesday. The mine had a designed annual capacity of 50,000-70,000 tonnes of copper concentrate, expected to contain 20-30 percent copper, he added. “All the concentrate will be sold to China,” the source said. The source said the joint venture would conduct second-phase construction to expand the capacity of the mine if production ran smoothly, but did not give details on timing or expanded capacity. China is the world’s top copper consumer but does not produce sufficient concentrate to meet demand. The country imported 3.4 million tonnes of copper concentrate in the first seven months of 2011, down 11 percent from a year earlier. 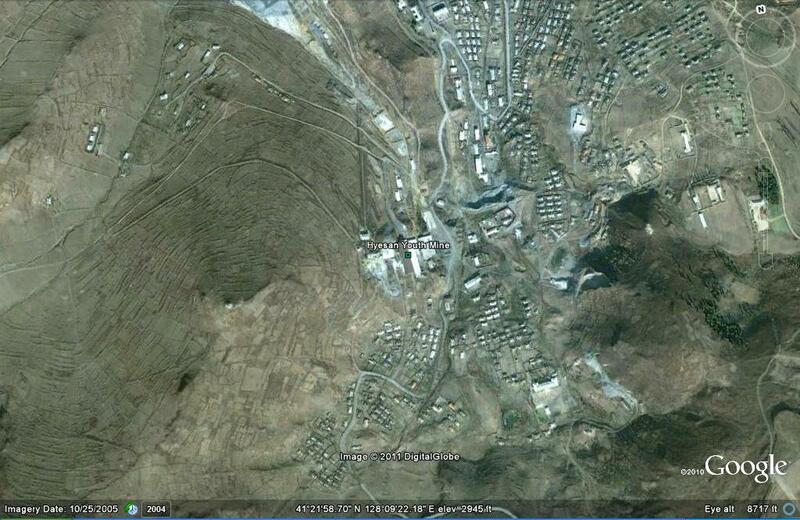 The Hyesan Youth Mine in Ryanggang Province was successfully updated as required by the new century. The workers and technicians of the mine together with Chinese technicians and skilled workers completed the vast modernization project and successively ensured their commissioning. The modernization of various production processes including mining, carriage and ore dressing made it possible to boost mineral production and thus contribute to economic development and the improvement of the standard of people’s living. A ceremony for the completion of the modernization project at the Hyesan Youth Mine and the Hyesan-China Joint Venture Mineral Company was held on Monday. Present there were Kang Min Chol, minister of Mining Industry, Kim Hi Thaek and officials concerned, Liu Hongcai, Chinese ambassador to the DPRK, and staff members of his embassy and Han Youhong, president of the Wanxiang Resources Co., Ltd. of China, and personages concerned. Ri Mun Yong, manager of the Ryanggang Provincial Mining Complex, made an address to be followed by congratulatory and other speeches. At the end of the ceremony, the participants went round production processes. That day a reception was given in connection with the ceremony. Although foreign investors and aid groups frequently build/ repair / upgrade North Korea’s state owned enterprises, it is rare that they are given any credit for their work in the official media. The trade volume between North Korea and China has steadily increased, reaching its record high of USD 3.4 billion in 2010. Total exports amounted to 1.19 billion USD while imports doubled that figure to USD 2.22 billion. Imports have continued to grow, increasing by 2.4 times over the previous year. Since the Cheonan incident and the implementation of May 24 sanctions, inter-Korean economic cooperation has come to a halt, naturally resulting in rise in exports to China. In particular, a significant growth in anthracites exports was observed. The monthly anthracites exports that averaged around USD 10 million surpassed USD 70 million mark last August and maintained USD 50 million monthly average between September to November. In addition, cost-per-ton of anthracite in March which was USD 52.2, jumped to USD 82.8 in November, a climb of 60 percent. This boost is attributed to its increased export. The current supply of electric power consists mostly of hydroelectric power — reaching over 60 percent– but during the winter season most of the hydropower plants are unoperational due to frozen facilities from harsh winter weather. Anthracites were the alternative resource to fill this gap. 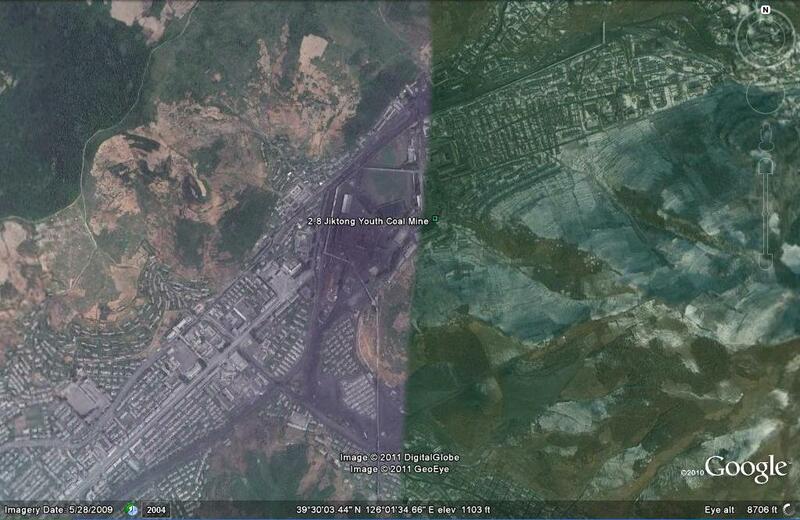 Sacrificing power production and exporting great amount of anthracites despite severe winter is a strong indication of the poor foreign currency situation in North Korea. In its New Year’s joint editorial, North Korea placed heavy emphasis on its anthracite export that took up 60 percent of its total exports. In the statement, four vanguard sectors of coal, electricity, metals, and railroads were highlighted as important industries as “rich underground resources that will help with securing funds and resolving raw material problems.” This is the first time in 13 years – that is, since the Arduous March — for coal to be mentioned first in the New Year’s message. North Korea also began to lift export restraints of mineral resources like coal and silver from the latter half of last year and ordered to increase imports of rice and corns in place of minerals. The reason food procurement is placed first at the expense of its mineral resources is believed to be associated with the implementation of the succession involving Kim Jong Un, and to keep North Korean people’s dissatisfaction under control and manage the domestic situation. North had placed restraints on coal, gold, silver, lead, and zinc exports from 2007 through adopting export control of mineral resources. In addition, North Korea and China will meet in Beijing to sign an agreement on joint development of underground resources. This agreement will include Musan Mine and rare-earth mines that POSCO (The Pohang Iron and Steel Company of South Korea) has shown interest in in the past for development. 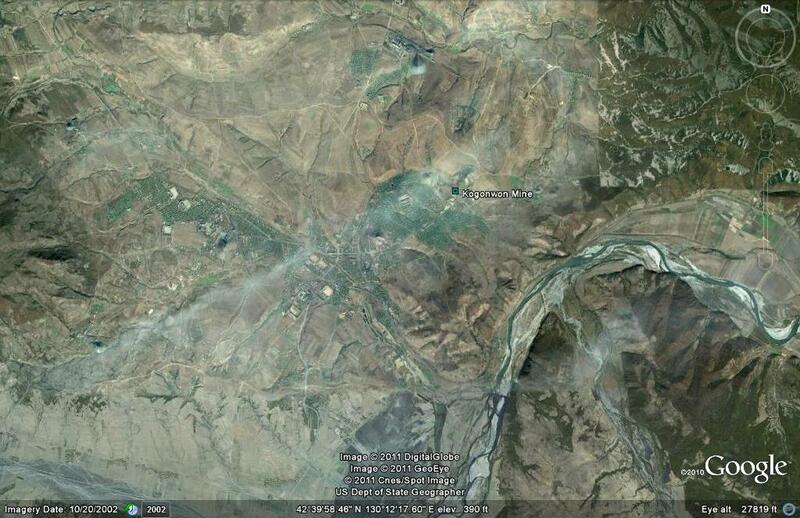 China’s moves in this sector are suspected as China’s attempt to monopolize the DPRK’s underground resources. The DPRK’s Joint Venture and Investment Guidance Bureau and China’s Ministry of Commerce were expected to meet on February 15 to discuss agreements related to underground resources development. 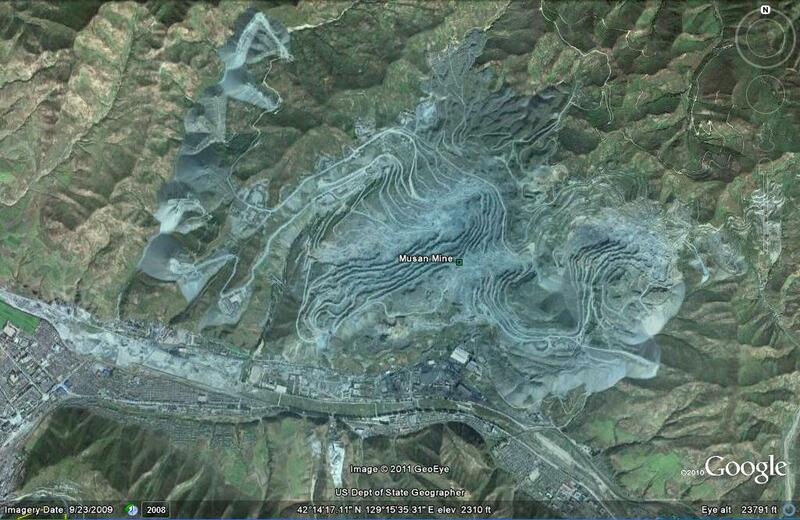 On the agenda was Musan Mine, abundant in gold and anthracite, and other mines rich in rare-earth elements. Other mines are also known to be specified in the agreement. Construction of a highway connecting Heilong City of Yanbian Korean Autonomous Prefecture to Nampyong and Chongjin of North Korea and railway system linking the cities of Heilong, Nampyong, and Musan are currently underway, expected to be in operation by end of this year. Jilin Province and Ministry of Railways of China began construction of this railway system from October 2010 investing CNY 1.19 billion, which runs a distance of 41.68 km. However, it is expected to extend further onto Chongjin and is considered to become the major transportation hub, integrating economic cooperation between the two countries. Musan Iron Mine is known as the largest outdoor iron mine in Asia and Tonghua Iron and Steel Group along with three other Chinese corporations acquired 50-year development rights of Musan Iron Mine. They are bringing in about 120 tons of iron ore each year and more is expected to be brought in once the Heilong-Musan rail link is completed. North Korea and China are expected to sign an agreement on joint development of the North’s underground resources in the middle of this month in Beijing, a source here said Sunday. “It has been learned that Pyongyang and Beijing are expected to conclude a deal to jointly develop North Korea’s underground resources on Feb. 15, one day before the birthday of North Korean leader Kim Jong-il,” said the source, noting the accord will be signed in Beijing between China’s Commerce Ministry and the North’s Joint Venture Investment Committee. “Specifically, the two sides may agree to jointly develop natural resources such as gold, anthracites and rare earths under the bilateral deal. Following the agreement, the two countries are likely to establish a joint venture company in Hong Kong,” said the source, asking to remain anonymous. Trade between North Korea and China reached US$3.06 billion in the first 11 months of last year, which marked a rise of 9.6 percent from the 2008 annual volume of $2.7 billion. Mineral resources like coals and iron ores account for over 30 percent of the North’s exports to China. Chinese mining investors have had mixed results in the DPRK despite geographical proximity and monopsony purchasing power (the Chinese can offer lower prices because in many cases they are the only purchaser/investor). 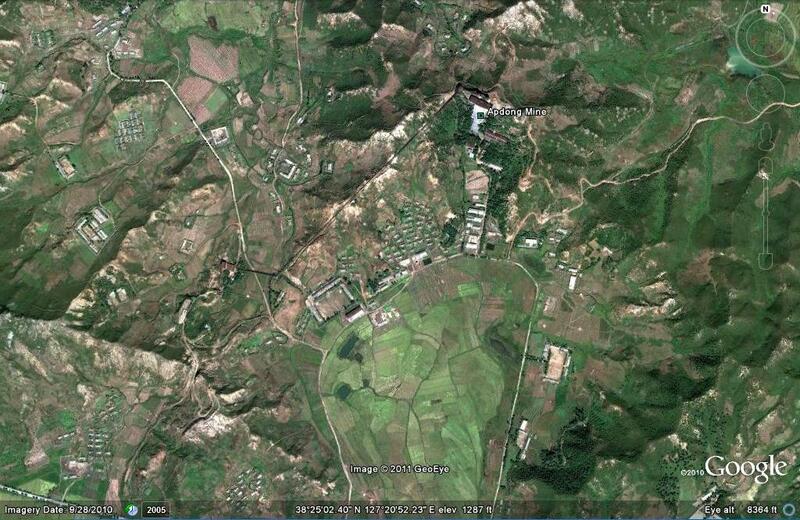 At one point, a Chinese firm had a controlling share of the DPRK’s Hyesan Youth Copper mine (Satellite image here). 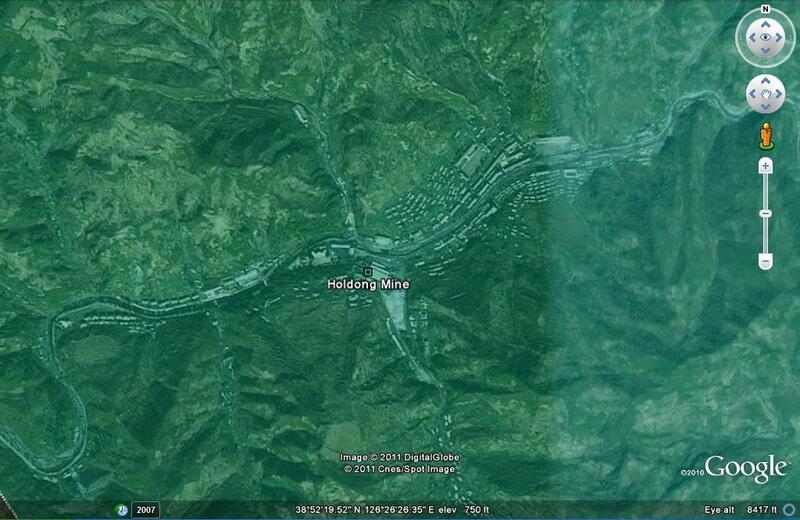 As best I can tell, the mine is no longer operable because of flooding from nearby dam construction. 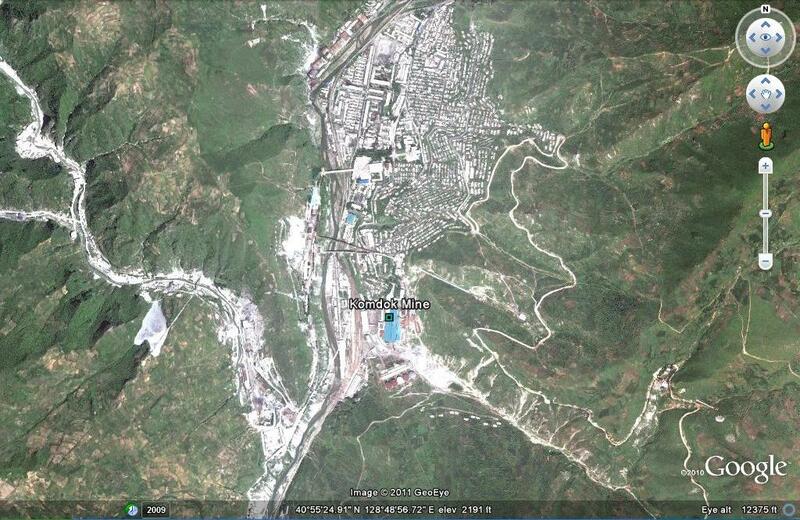 A Chinese firm had also invested in the Musan Mine, the DPRK’s largest, conveniently located on the Chinese border (Satellite image here). This deal also fell trough (see here). I have heard informally that Chinese mining investors do not particularly like doing business in the DPRK because their North Korean business partners routinely violate contract terms and local officials need to be bribed repeatedly. Today Chinese mining firms operate across the world in both developing and developed countries, so why bother with the DPRK? The particular deal mentioned in this Yonhap article is interesting because it hints that the Chinese and North Korean central governments are setting the terms for mining investment in the DPRK for the first time. This will give local officials less room for post-contractual rent-seeking behavior and could smooth the way for regular/predictable business operations in the DPRK. Again, centralized corruption is preferable to decentralized corruption for investors. 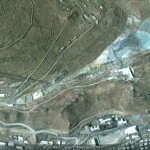 A Chinese investment company developing a copper mine in North Korea with a North Korean company sanctioned by the UN Security Council has reportedly called an abrupt halt to the project. 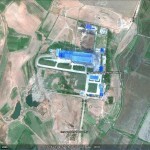 An industry source in China said the investment firm sent a letter to NHI Shenyang Mining Machinery, the company it had commissioned to build facilities for the mine in Hyesan, North Korea, telling it to stop construction. 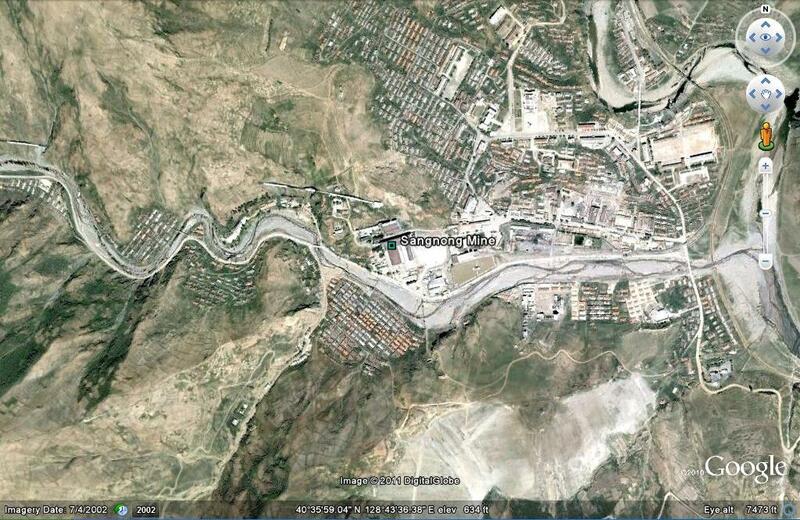 An estimated 400,000 tons of copper are deposited there. 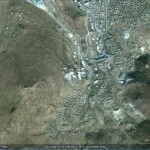 The Chinese firm had signed an agreement with (North) Korea Mining Development Trading Corporation (KOMID) [NKeconWatch: a.k.a. 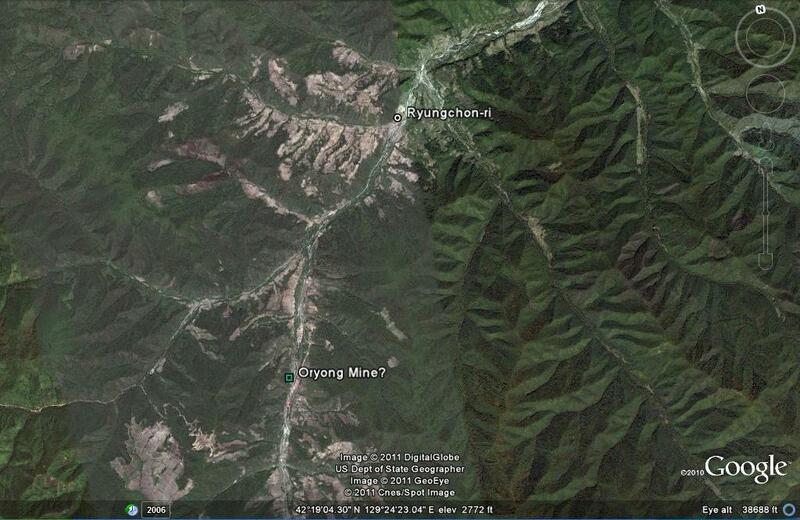 Korea Mining Development Corporation) to develop the mine in November 2006. But the North Korean partner was blacklisted by the UN Security Council after North Korea carried out its latest nuclear test. But he added the Chinese government apparently persuaded the investment firm to stop the project as Beijing takes part in the UN sanctions. “Otherwise, it’s unusual for a project to be stopped at this late stage,” he said. The investment firm reportedly gave NHI no reason for the cancellation. 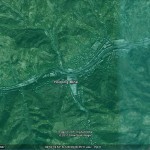 Looking at Hyesan on Google Earth, this appears to be the only large-scale minig operation in Hyesan.